First of all, you have to familiarize yourself with the format of an argumentative essay and its purpose. Essays of this type are aimed to investigate a certain topic or issue. You have to conduct a research and gather as many data as possible, to make sure that you consider all crucial details and provide your readers with various points of view on this subject. At the same time, you have to convince readers to accept your point. You have to dig deep into the issue. You have to navigate your readers through all the details of the considered issue and get them to the logical, clear and simple conclusion. To make it right, you must understand all points and convince your readers to accept your point. Your topic must fit the format of the paper. Given that argumentative essay implies arguing in support of a certain view, your topic must be arguable. You shouldn’t choose some issues that have obvious solutions or don’t imply alternative views. For example, if you’re writing about vitamins and their impact on health, you unlikely will find arguments against vitamins. Your topic must be interesting to you. At the same time, make sure that it’s not too popular, because a good essay offers readers some new information. At the same time, don’t select atoo rare subject, because you will have more problems with searching for information. You have to keep in mind your audience, because audience determines the preferred arguments. There is a big difference between talking to classmates or a professor. Estimate the background of your audience, to make sure that you provide them with all necessary facts so they could understand all specific features of the subject. Another important moment is that you may use different language when talking toan audience of different kinds. Consider the rhetorical situation of your essay. In other words, keep in mind the purpose of the essay, the audience, and the setting. Don’t forget that not only you have to provide readers with enough information, but also to persuade them towards your point. The first thing that requires your creativity skills is the title. Make your title catchy and interesting; let it prompt your readers what you’re going to talk about. After that, write your thesis statement. It’s a backbone of your argumentative essay, since it sums up your thoughts on a topic. We suggest presenting your thesis statement at the end of the introduction. Your thesis must be clear and concise. It may be a claim about how we should change something, or what are causes and effects of a certain issue, or a new view on how we define certain ideas and terms.We suggest avoiding writing a three-part thesis, even though such an approach is often recommended for beginners. It consists of abrief overview of three claims that will be discussed further. This method limits you because you won’t be able to develop the message of the essay naturally. Once you’ve written the introduction, plan the body part of your essay. You have to make sure that you consider all the important aspects of the issue. You cannot mention certain points too briefly just because they are opposite to your thesis. Consider counterarguments in detail and explain why these points are wrong. Maybe an opposite side relies on outdated information, or its logic is inaccurate – you can use it to prove why your point is the only right one. Your essay must end with a conclusion. Here you have to remind your audience the thesis statement. At the same time, make sure that you don’t repeat it exactly how it was declared in the introduction. Review your key points and highlight the logical connection between the arguments and the thesis statement. In this section, you don’t need to include any new information. Your conclusions must be clear and leave your readers with no doubts. We suggest choosing only reliable and accurate sources. You may use both old sources which may give the more clear understanding of the basis, and new sources that include most relevant data. If you use citations, make sure that you write them according to a proper format. 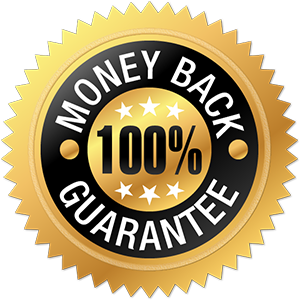 All quotes must be written in quotation marks, because otherwise, it will be considered plagiarism. 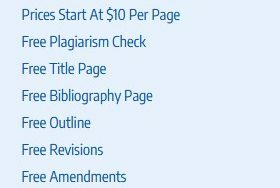 Your quotes and list of used sources (Works Cited or Bibliography) must be written according to one of the academic citation standards (MLA, Chicago, or APA). If you don’t know which citation format to use, ask your teacher or professor. Finally, make sure that your argumentative essay is free of grammar and punctuation mistakes. Read your essay a few times and fix all errors. You may also order professional essay paper.